A new study published by Winter Green Research has predicted that the market for agricultural drones is set to rise from the current US $494 million to $3.69 billion by 2022. Hailed as the next step in the industrialisation of agriculture, use of drones provides a more flexible visualisation for spraying, mapping, pest control, seeding, remote sensing and satellite farming. Drones also leverage the Internet of Things (IoT) technology, bringing transparency to the system. “Transparency is one of the benefits of IoT that drones bring to digital farming. Transparency is being demanded by consumers who want to know where their food came from, how much water and chemicals were used and when and how the food was harvested,” Susan Eustis, lead author of the study, said. Use of drones also implies a more efficient use of land, water and fertilisers, she added. Investment in agricultural drones rose from $2.06 billion in the first half of 2015 to $4.25 billion by the end of the year. Till 1920, agriculture was labour-intensive. It was mainly subsistence farming on small farms—two acres of field would produce enough for one person. Then, from 1920-2010, tractors, combine harvesters and chemical fertilisers became commonplace. One acre of land was sufficient to feed five people, as of 2010. This was followed by the advent of digital agriculture, which involves exploitation of data from many sources—satellite images, weather tracking and sensors on farm equipment. 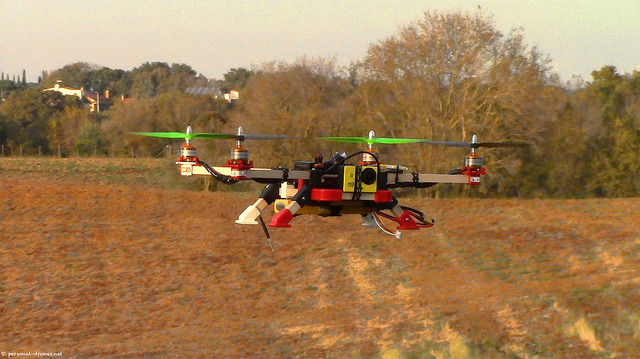 The main challenges to the agricultural drone market will be to ensure security, privacy and standards, points out the study. On the other hand, inexpensive sensors, cloud computing and intelligent software will drive the market ahead, it adds. Apart from drones, instant forecasts facilitated by mobile phones have also been crucial in the digitising agriculture. Rain-fed agriculture has become more vulnerable to the impacts of climate change. As weather patterns become more unpredictable and extreme weather conditions become frequent, weather forecasts through radio and TV are hardly reliable. In this scenario, a mobile-led approach can contribute to climate-resilient agriculture.